Sacai's Chitose Abe used her signature hybridization technique to create softer silhouettes for Spring '19. 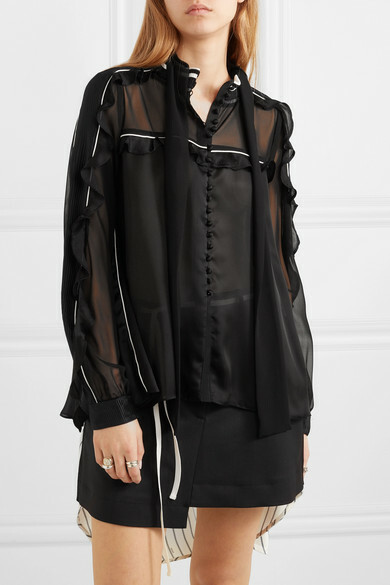 This blouse is made from lightweight satin, which is artfully pleated along the ruffled sleeves. 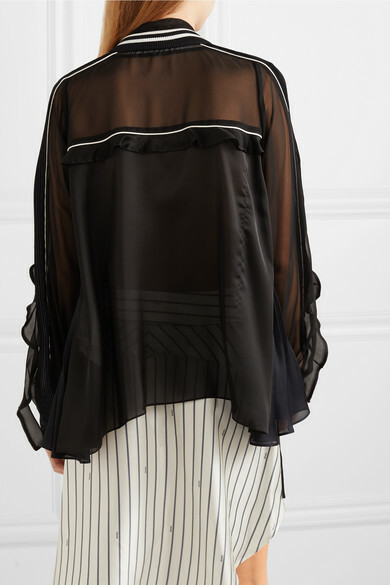 It's spliced with floaty chiffon panels and trimmed with white piping, with matching stripes on the ribbed neckline. 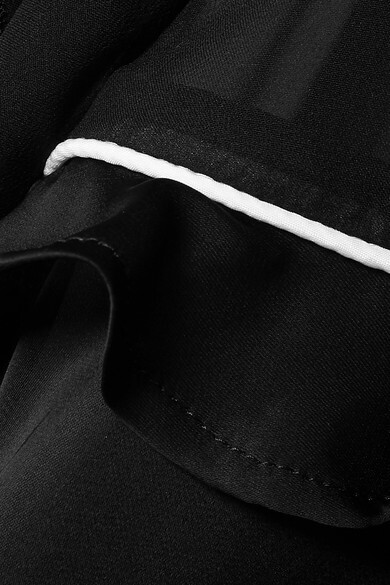 Tuck yours into a mini skirt and leave the neck tie draped across the front. Shown here with: Monse Skirt, The Row Shoulder bag, Proenza Schouler Ankle boots, Paola Vilas Ring, Sophie Buhai Rings, Jennifer Fisher Ring.